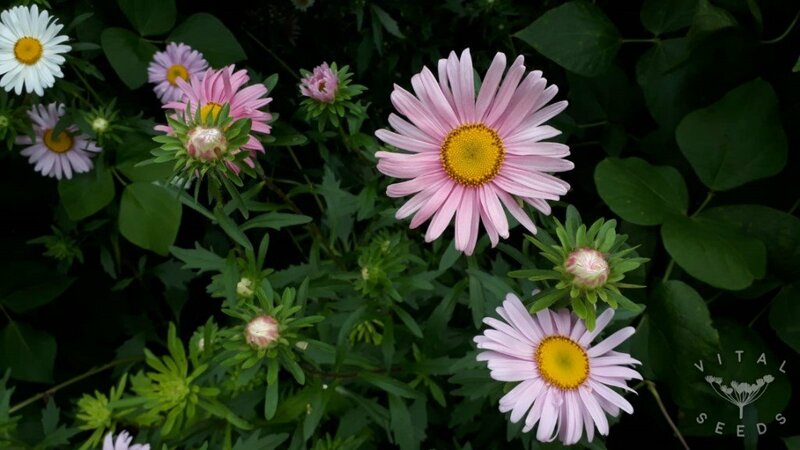 A beauty of the garden with radiant star-like colourful blooms. 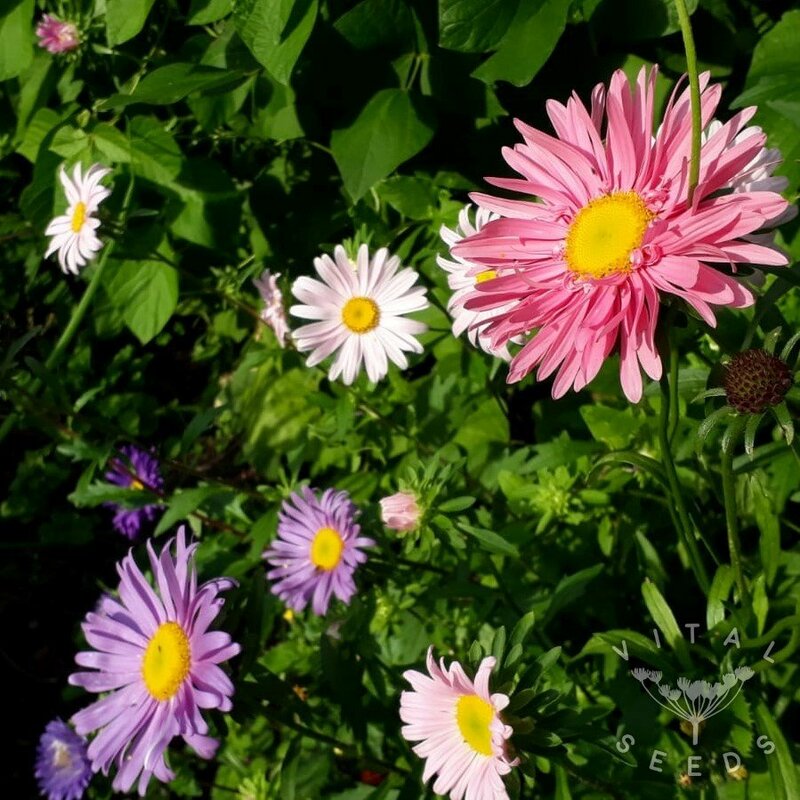 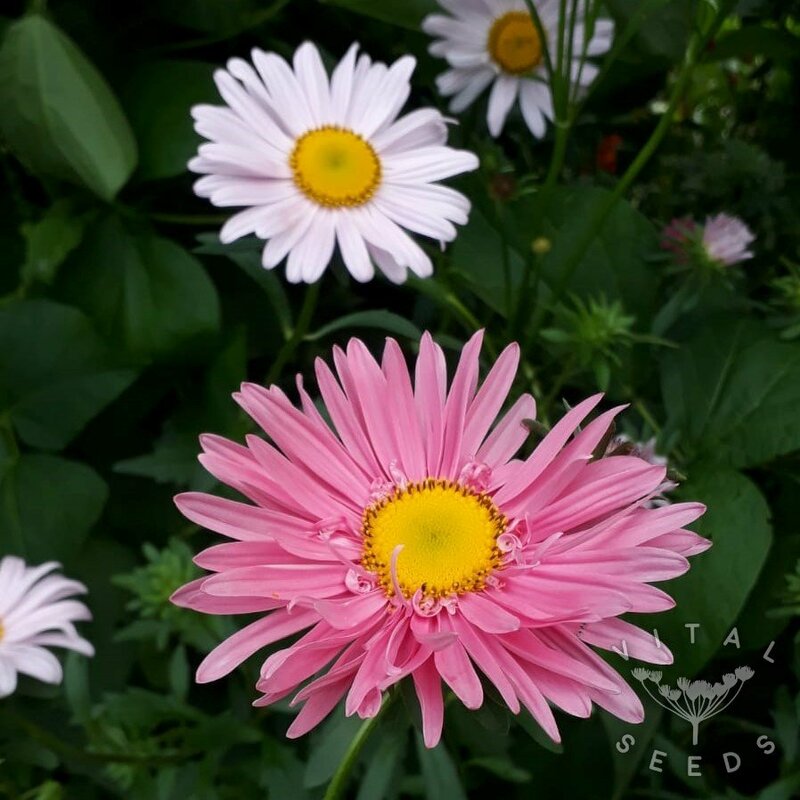 Not only gardeners but also insects love asters and so they are great for bringing in beneficial insects to the garden. 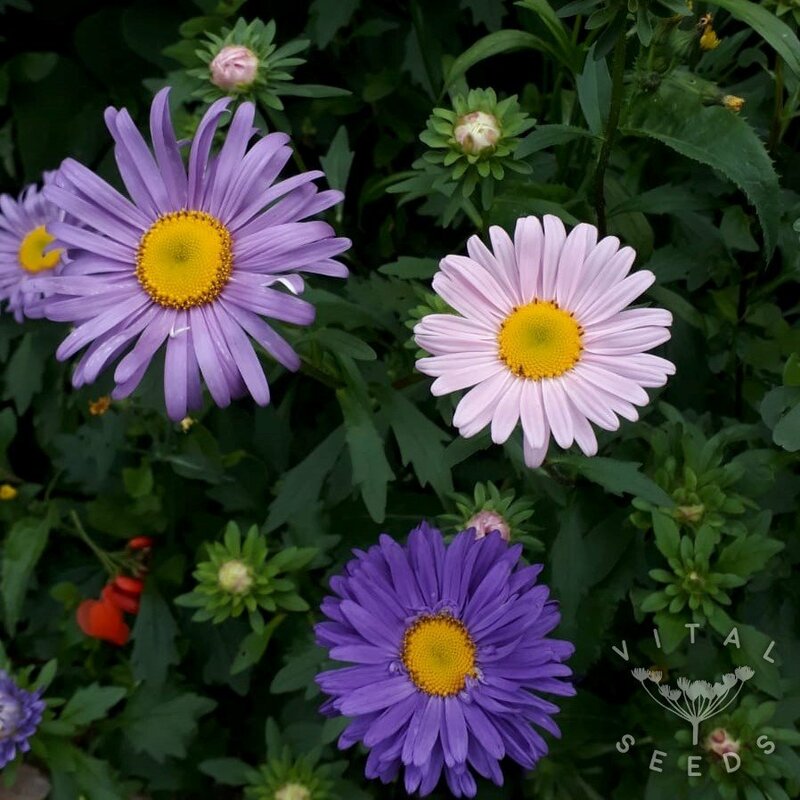 We love this seed mix due to the variety of colours it produces.